This timeline shows the e-commerce sales of U.S. manufacturing shipments of furniture and related products manufacturing from 2003 to 2016. 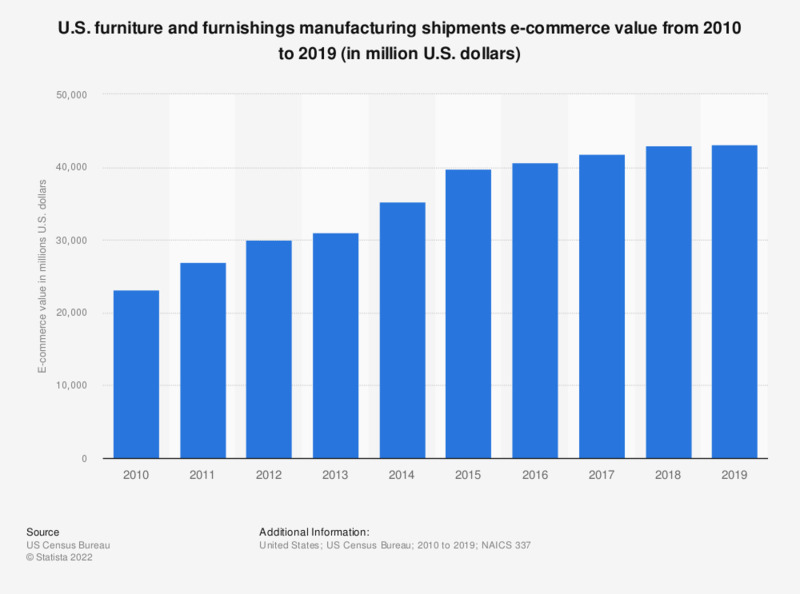 In the most recently reported period, the B2B e-commerce value of furniture and furnishing manufacturing shipments amounted to 40.7 billion U.S. dollars. Estimates include data only for businesses with paid employees and are subject to revision. How much importance do you personally give to the interior decoration of your home?